What is Diabetes? Blood sugar gone wild. So what is diabetes and why care about it? Diabetes is a condition in which blood sugar levels are too high. Too much sugar circulating in the blood can damage the body in myriad ways including the heart and blood vessels, peripheral nerves, kidney, liver, eyes, brain and immune system. Diabetes is linked to insulin resistance, metabolic syndrome and other blood sugar irregularities. It has system wide effect, damaging blood vessels, nerves, the liver, kidneys and brain. In fact, diabetes is a risk factor in more than half of the top 15 causes of death according to 2010 US government statistics including heart disease, cancer, stroke, Alzheimer's, kidney disease liver disease, hypertension and, of course, diabetes. What is Diabetes? – When is blood sugar too high? The American Diabetes Association’s (ADA) current guideline for what is diabetes is a fasting plasma glucose score over 125 mg/dl (6.9 mmol/L). Prior to 1999, the level was over 140 mg/dl (7.8 mmol/L). According to the ADA, pre-diabetes is diagnosed with fasting blood glucose between 100 – 125 mg/dl (5.5 – 6.9 mmol/L). Healthy levels are considered under 100 mg/dl (5.5 mmol/L). Press here to read more about testing blood sugar. What is Diabetes by Testing Blood Sugar – What is normal and not? The problem with using fasting blood glucose levels to diagnose diabetes is that, by the time your fasting plasma glucose scores are abnormal, you likely have had skewed post meal blood sugar levels for some time. You may be far down the road to poor metabolic health. What is Diabetes Facts - Measuring Blood Sugar Levels - In the US, blood sugar is measured in mg/dl or milligrams per deciliter; while in the rest of the world, the measure is mmol/L or millimoles per liter. To convert mg/dl into mmol/L, divide mg/dl by 18.05. Type I Diabetes (aka juvenile diabetes, insulin dependent diabetes) – This is when you don’t make any or enough insulin. Generally this is thought to occur because an autoimmune process destroys the insulin-producing beta cells of your pancreas. Type II Diabetes (aka adult onset diabetes, non-insulin dependent diabetes) - You’ve got enough, if not too much insulin but your body has become resistant to its effects. For this reason blood sugar rises, despite increasing amounts of insulin circulating. If untreated, high-insulin levels can damage insulin-producing cells; for this reason, Type II eventually can resemble Type I and require insulin. Gestational Diabetes – This happens when a woman becomes diabetic while pregnant, with around 2% to 5% of pregnant women succumbing. Gestational Diabetes can harm baby and mother by causing respiratory, congenital heart and nervous system problems as well as large birth weight. This diabetes normally goes away upon the birth. 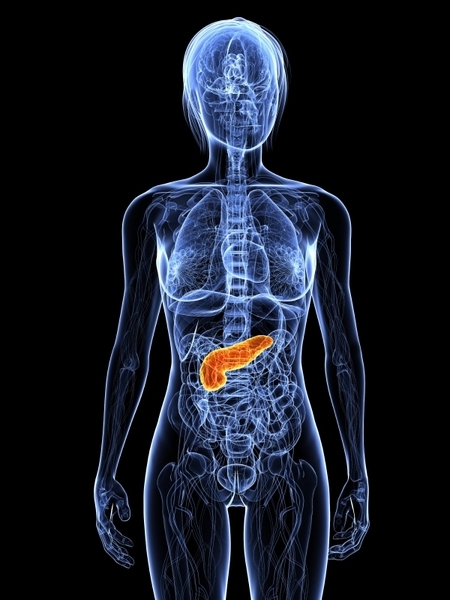 The pancreas is the body's insulin producing organ. In Type I Diabetes the insulin-making cells of the pancreas are destroyed. In Type II Diabetes insulin is produced but the body doesn't respond. Type I Diabetes is generally diagnosed before age 40, routinely in children and teenagers. It comprises about 10% of all diabetes cases, although many statistics don’t differentiate between Type I and II. By contrast, Type II is associated with older age. Nevertheless, as rates of childhood obesity and overweight have skyrocketed, so too have numbers of Type II Diabetes in children, teenagers and young adults. It is rapidly becoming a common condition among young people. 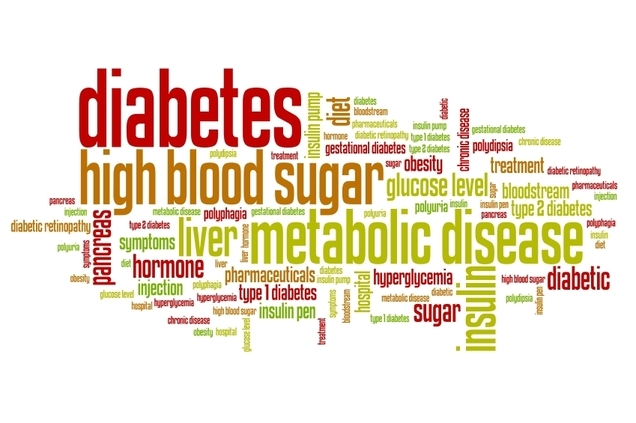 What is Diabetes - Causes of Diabetes – While Type I, Type II and Gestational Diabetes are the most prevalent forms, with Type II comprising almost 90% of all cases, there are other causes of diabetes. These include suspected autoimmune attack like LADA; genetic or mitochondrial defect; or health conditions like cystic fibrosis and hemochromatosis. Still other types of diabetes result from medications like steroids, thyroid hormone and statins. As we can see, both Type I and II involve a problem with insulin and its failure to adequately control blood sugar levels. As a general rule Type I Diabetes will require replacement insulin to control blood sugar. those that stimulate insulin production including sulfonylurea drugs like Glipizide, Glyburide, Gliclazide, and Glimepiride (Amaryl), and meglitinide drugs like Stalix and Prandin. Side effects can be hypoglycemia. In the case of Type II Diabetes, sometimes diet and exercise are sufficient to halt, if not reverse it, although insulin and drugs may be required, depending on its progress or severity. It follows that diabetes diet information is essential if you want to reverse Type II Diabetes; diabetes diet information can be useful to manage Type I Diabetes and reduce the need for insulin. First Phase insulin release occurs within minutes of consuming food, when digestion and absorption of nutrients begin. Pure glucose, with a molecularly simple structure, doesn’t need to be broken down for the body to use it, so it hits the blood stream first. Simple carbs that require minimal digestion are quickly metabolized and spike blood sugar faster than complex fiber-rich carbs or fat and protein-rich foods. Second Phase insulin release happens within an hour or so of the first phase. It mops up any remaining glucose from your meal and brings blood levels to healthy long term levels. Fasting Insulin release is an on-going incremental process where small amounts of insulin enter the blood stream every few minutes in a pulse-like action. This ensures blood sugar levels remain at healthy levels and that you have sustained energy. Food can affect blood sugar for better or for worse - It's important to understand what foods contribute to good blood sugar control and which don't. All three types of insulin release must function or healthy blood sugar control will be difficult, if not impossible, to achieve and may overtax the other stages of insulin release. For more on blood sugar and insulin, see Jenny Ruhl’s book Blood Sugar 101: What They Don’t Tell You About Diabetes. What is diabetes – So where does all that energy from food go? The organs to get first dibs on all this energy are brain and muscles. Not surprisingly, they are also the organs to first suffer the effects of inadequate blood sugar or hypoglycaemia. …. And finally… after glycogen stores are maxed, excess glucose goes directly into fat cells. The first two processes are healthy ones. Insulin Resistance – When insulin doesn’t do the trick! Sometimes the body loses its sensitivity to insulin and insulin doesn’t work like it should. It no longer transfers blood sugar into cells to produce energy and lower blood levels. The result is that both blood sugar and insulin levels rise. High levels of either can damage organs and are hallmarks of Type II Diabetes and its precursor Metabolic Syndrome. The last can be a problem if leading a sedentary life, because this fat can, as well as leading to obesity, deposit in the liver and other internal organs making them less efficient. A fatty liver functions poorly compared to a fat-free one and can lead to Metabolic Syndrome and its second cousin Type II Diabetes. This conversion to fat of excess energy is one reason why exercise helps prevent or reverse diabetes. 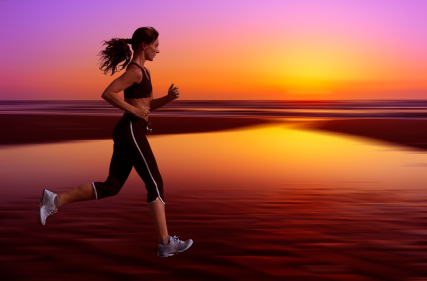 Physical activity helps burn excess energy (all that glucose) that would otherwise circulate in the blood or get stored as fat including harmful liver fat. Physical activity, along with diet, are key to prevent diabetes. Exercise, both cardiovascular and muscle building, has been found by research to reduce the risk and severity of diabetes - The theory is that excess energy is burned instead of stored. Conventionally, Type I diabetes is considered a disease of genetic causes, possibly modified by environmental factors. It’s thought, these trigger the immune system to mistake and destroy insulin-producing beta cells as invaders. What is Diabetes and What Causes Type I Diabetes in Some Children? – While nobody knows for sure, one theory is that the immature immune system mistakes pancreatic beta cells for those in cow’s milk, to which the child may have developed allergic antibodies. These destroy the insulin producing beta cells. A 1993 Canadian study from McMaster University identifying the connection between milk and Type I Diabetes led some doctors to advise avoiding cow’s milk in the early months of life. While subsequent studies have been conflicting, the milk theory as a possible trigger for Type I Diabetes is not disproved. The major risk factors for Type II Diabetes include being overweight (even higher BMI’s within the normal range increase risk); being older and physically inactive; having a family history of the disease; and importantly, eating a diet high in refined high-glycemic nutrient-deficient fare. Foods containing lots of added sugars, little or no fiber as well as poor quality fats and few anti-oxidant rich fruits and veg (for many a typical diet) are seen as significant contributors to Type II Diabetes as well as the upward spiral in obesity. While being obese or overweight significantly increases your risk for blood sugar problems and losing weight routinely improves blood sugar control; many experts postulate it is not weight alone that seals the deal. While 80% of obese people have abnormal blood sugar that may include metabolic syndrome: 20% of obese folks have normal blood sugar levels. And don’t figure you’re immune from diabetes because you are normal weight. Disturbingly, 40% of normal weight people have abnormal blood sugar levels and are at risk for metabolic syndrome, diabetes and other blood sugar problems that can play havoc with their health. Clearly, factors other than mere weight and, for that matter, age play a role. The bottom line is that we all need to worry about abnormal blood sugar and diabetes prevention. While you don’t control your family history, genetics, or age, you can control lifestyle factors like your activity level, weight and diet. Genetics are not necessarily destiny; diet and physical activity can determine how those genes are expressed and whether you’ll end up with diabetes. Remember that in the case of diabetes, the body doesn’t make enough insulin or has become resistant to its effects and cannot generate enough energy from the food it eats. No wonder being tired and unexplained weight loss are diabetes symptoms. 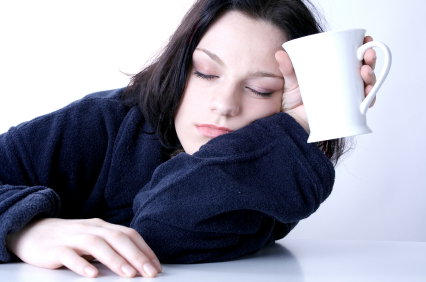 Fatigue is a symptom of diabetes - insulin either can't function or doens't exist to convert food energy into energy for the body. The result is tiredness. The result is a rise in blood sugar accompanied by increased insulin production; often followed by a blood sugar dip, should the excess insulin finally kick in. No wonder hypoglycaemia and sugar cravings are diabetes symptoms. What is Diabetes? : Symptoms of Hypoglycemia – Hypoglycemia or low blood sugar suggests problems with blood sugar and insulin regulation and often precipitates or accompanies poorly controlled Type II or Type I Diabetes. Symptoms of hypoglycemia include confusion, sweats, jitters, anxiety, light headedness and loss of consciousness. Too much blood sugar makes the kidneys produce more urine in an attempt to dilute the excess sugar in the blood. No surprise that thirst and excess urination are diabetes symptoms. What is Diabetes Mellitus? – it's another term for Type II Diabetes and means honey or sweet smelling urine. Sugar in urine is one diabetic symptom recorded by the ancients and how the disease previously was diagnosed. What is Diabetes and its long term complications? Why care about poor blood sugar control and diabetes diet information? The long term complications of poorly controlled diabetes, including dysfunctional blood sugar and high insulin levels, can play havoc with your health. What is Diabetes and the System Wide Complications of Diabetes? No wonder that a disease that directly damages the integrity and working of blood vessels will have system-wide effect. It’s why diabetes complications can be widespread – from head to toe, if you will and why diabetes diet information is so important. Diabetes sufferers are at increased risk for heart disease and stroke. 68% of diabetics die from either one of these conditions. This is because blood sugar directly damages blood vessels making them thicker, less flexible and more prone to damage. High blood pressure can result, further damaging blood vessels. 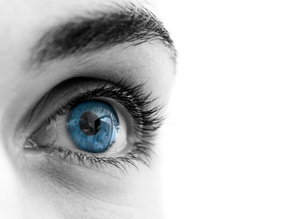 Blurred vision can be an early sign of diabetes and elevated blood sugar - blindness can be the result of long term diabetes..
Not surprisingly, diabetes can harm blood vessels elsewhere including the eye, causing blurry vision and blindness. Compromised blood vessels can lead to erectile dysfunction and male impotence. In women PCOS and infertility can result from diabetes. Diabetics routinely have fatty liver. This contributes directly to metabolic syndrome, liver cirrhosis and poor detoxification which can lead to an excess of circulating hormones including estrogens and testosterone. Press here for more on metabolic syndrome and how diet can prevent it. Numbness or tingling in the hands and feet are often first signs of diabetes along with wounds that won't heal. Diabetic neuropathy which includes tingling, lack of sensation or pain in limbs is often the first observed symptom of diabetes. This is a signal that blood sugar has damaged peripheral nerves. Diabetics are more prone to injury of the extremities. High insulin levels also affect the immune system including the number and function of white blood cells. Ulcers, poor wound healing and bacterial and fungal infection may get the upper hand with poorly controlled diabetes. Together this can lead to complications like infection and gangrene requiring amputation. What is diabetes and why you want to deal with blood sugar problems before you become diabetic? The disturbing news is that higher than normal, but still pre-diabetic blood sugar levels, as occurs with metabolic syndrome, are linked to a greater risk for many of the above diabetic complications including cardiovascular disease, neuropathy and retinopathy. This shows how important maintaining blood sugar within normal levels is. Diabetes diet information is key for this, especially if you want to do it drug free or with minimal meds or insulin. Getting a handle on metabolic syndrome or insulin resistance before it turns into full on diabetes is key. Press here for more on the prevalence and causes of metabolic syndrome, a common precursor to diabete. The bottom line is that diabetes and the elevated blood sugar and insulin levels of poorly treated Type II Diabetes, promote inflammation and inflammatory conditions. Any dietary solution to diabetes will have to address inflammation. This will include avoiding inflammatory foods and consuming enough anti-oxidants in your diet and possibly consuming anti-inflammatory supplements. So while important to know what diabetes is; the key is to know how to prevent and manage diabetes with diet and lifestyle. For that, proceed to diabetic diet information and best diets for type II diabetes. where you'll learn important dietary and lifestyle tips to keep diabetes at bay. Press here to read more about what is diabetes is along with diabetes diet information. Press here to read about the best diets for Type 2 Diabetes. 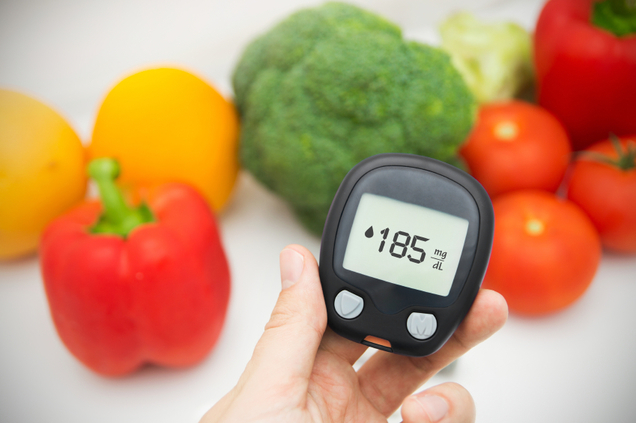 Press here to read more about low glycemic foods and balancing blood sugar.